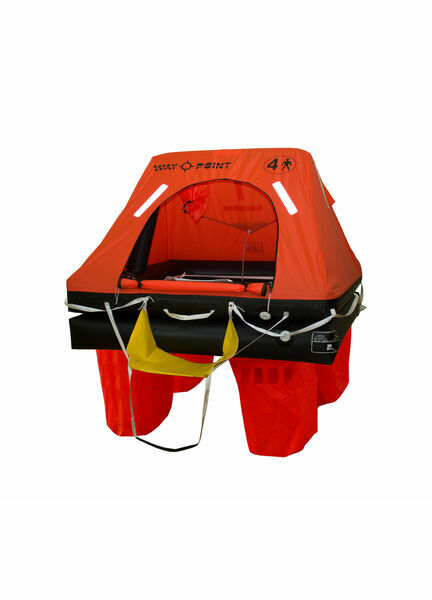 The Waypoint ISO 9650-1 Commercial is a European built, high quality liferaft, that complies fully with the strict ISO 9650-1 Group A regulations for < 24 hrs and also > 24 hrs. It meets the MCA code of practice and complies with the equivalent requirements of other European countries. It is fully tested to the ISO 9650-1 A specifications. It is also fully ISAF compliant for Racing. • The very strong body is built using an ISO 9650-3 approved, HT Nylon PU coated fabric that is made in the UK. With twin independent large diameter tubes and independently inflated arch. A boarding ramp with a two step, weighted ladder makes entry easy under any weather conditions. • The Bright nylon orange self erecting canopy has a very large entrance, facilitates boarding and has plenty of Solas reflective tape strips on all of its sides. There is also an outlook window and air circulating window. 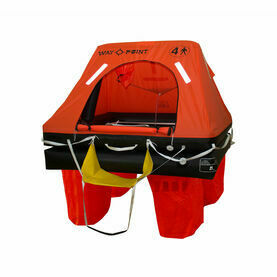 • The liferaft is stabilised by 4 large deep water ballast pockets of 75 litres each. (ISO standard requires 60L.) 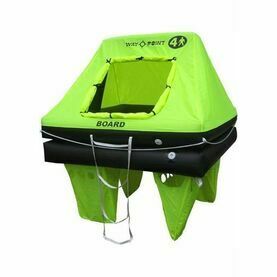 These large ballast pockets provide the best stability in all situations, when boarding and in rough seas. 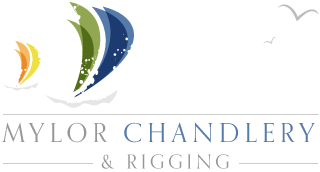 • The inflation system is Solas approved and exceeds the ISO standard requirements. Featuring a direct injection system with no hoses to kink, leak, or perish. All sizes in the Commercial range will inflate to minus – 25 C. (The ISO standard test is for - 15 C). • The Solas approved interior and exterior lights are powered with a lithium battery and can be manually controlled once on board the liferaft. 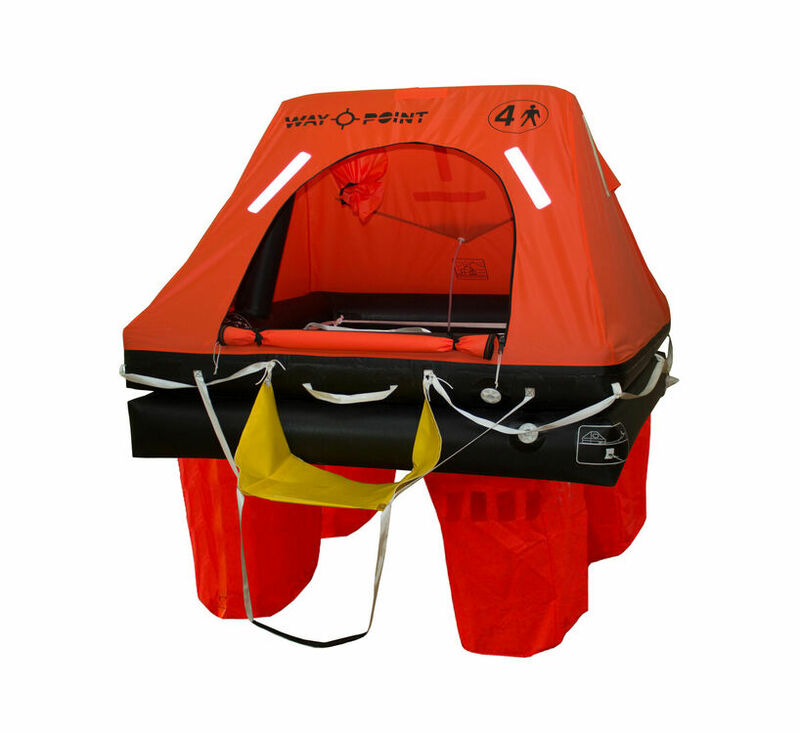 • The ISO Commercial liferaft is vacuum packed and has a 3 year service interval, where applicable. Available in 4, 6, 8 10, 12 & 14 man in valise or fibreglass container. 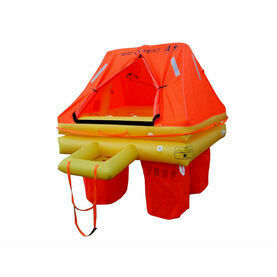 For liferafts over 8 man in size please email or ring for prices. 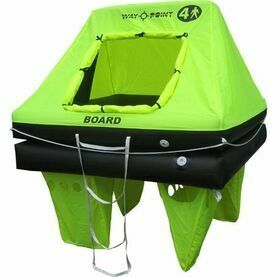 Waypoint Liferafts are designed for ultimate safety and suitable for all yachting, racing, fishing and cruising. Their liferafts are meticulously tested and built in their factory in Europe from highest quality fabrics, HT nylon coated with PU featuring an ultra lightweight construction.